Setting the Easter table I always look forward to. I find myself to be anxious and excited for Easter brunch or dinner. As a child we always looked for our Easter basket in the morning so by early afternoon the basket usually was depleted of all signs of candy. Now, my nieces and nephews have a little more self control. But there is still lots of energy in the house. I love to put some sort of rabbit as the centerpiece. He is the guest of honor after all. I did some researching to come up with something new this year. Should I go vintage or cheery cute? 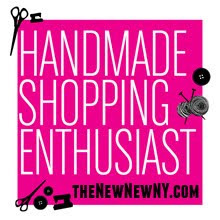 Here are a few finds on Etsy from sellers on our team and some not. Above the top photo is a beautiful spun cotton rabbit carrying his colored easter eggs and ready to do his deliveries on Easter morning. The details in his face are amazing, the colors of the organic yarn are mesmerizing. You can purchase him from jejeMae on Etsy. 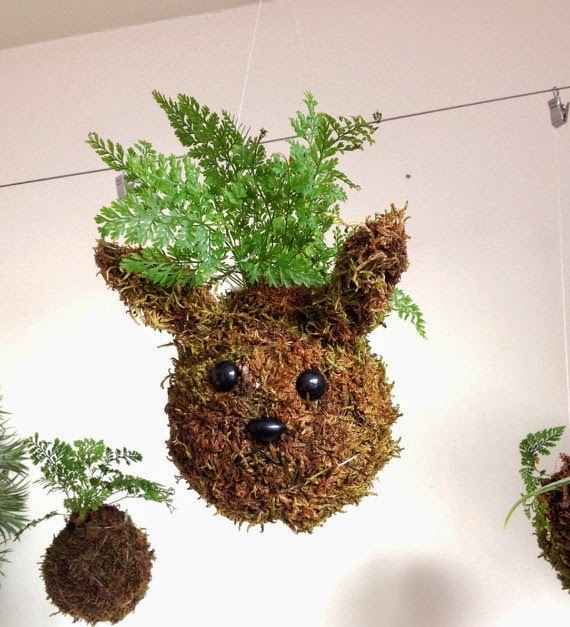 Above is a rabbit moss ball with a rabbit fern in it. How appropriate and creative! Art of Plants is owned by Jenny Stanley in Brooklyn. 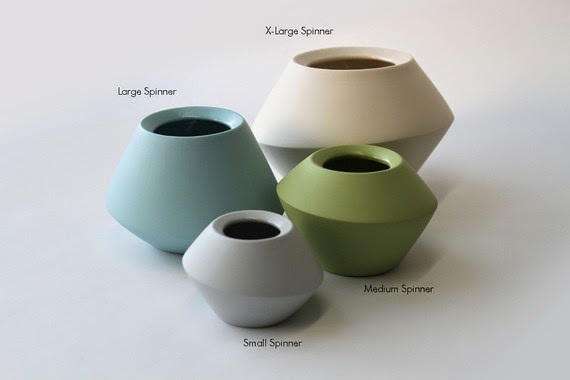 From Romi Ceramics a selection of vases, adding a few spring buds to each one will add some variety and dimension to your table. 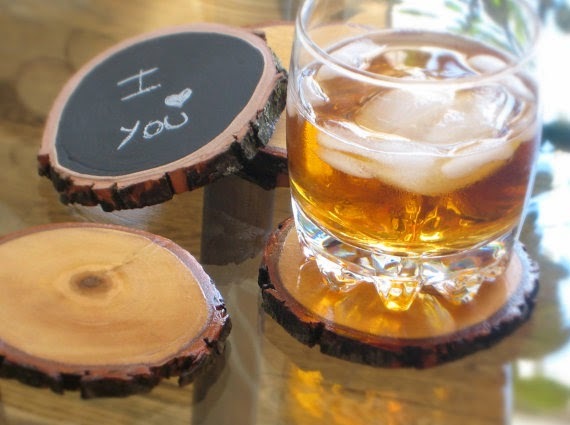 Possibly my favorite are these reclaimed wood coasters. Great to write your guests names on the back side because of the soapstone chalk. 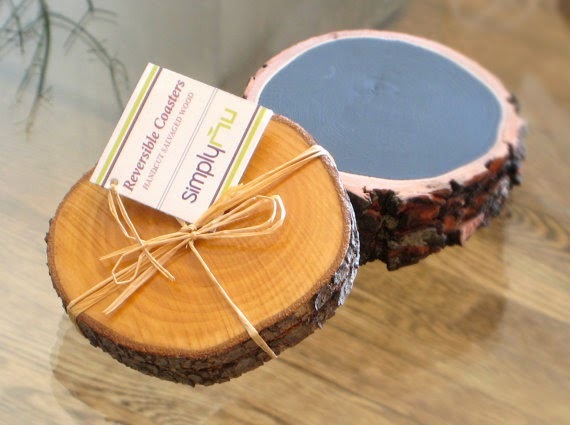 These are from Simply Nu who specialize in sustainable products. 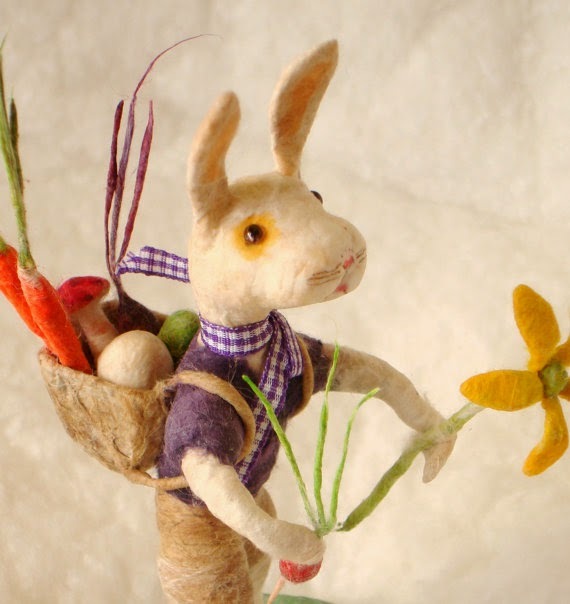 And last but not least you do need an Easter basket. 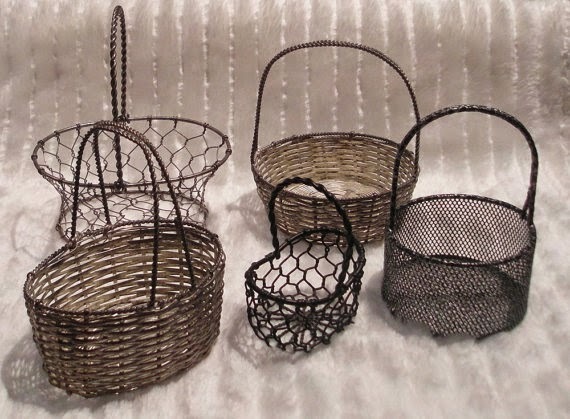 Here are some vintage wire baskets from WishboneArt. Do you have any favorite ways of decorating your Easter table? Have a wonderful, cheery holiday!